TWII, TWSE Index(TWII) or Taiwan Capitalization Weighted is a stock market index. 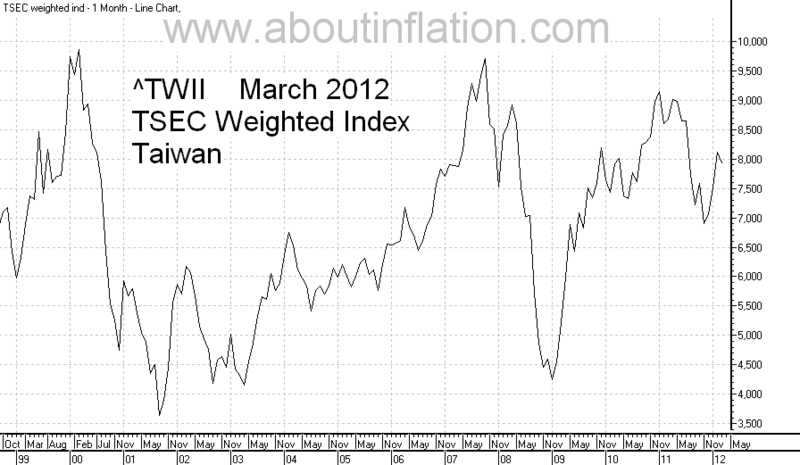 Taiwan Capitalization Weighted Index(TWII) started in December 1966 with a base level of 100. TWSE(TWII) is an index made of all publicly owned companies (stocks), based in Taiwan.